Is Condo Living an Alternative to Single Family Home? Are you in the market in for a home in the GTA this year? If you have decided that 2014 is when you will take the plunge and turn from a renter into a buyer, how do you picture your first home? Many people see themselves living in a single family home, but you may need to show some flexibility in your plans if you are truly focused on owning a home right now. There is currently a shortage of single family homes for sale in Toronto, which means that the ones being offered for sale will be fetching top dollar. It may not be your best option to buy at the height of the market if your goal is to build equity in your new home and to have a place to live. With market conditions being what they are, you may not end up buying a single family home with a white picket fence around it – but that does not mean that you have to give up on your dream of home ownership, either. 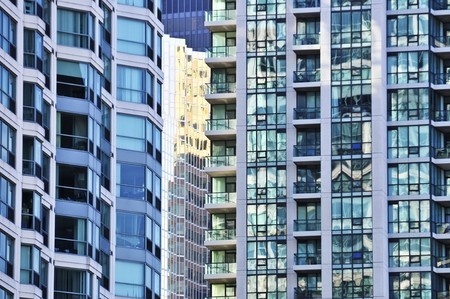 Consider a resale condominium for your first home instead of the more traditional choice. There are advantages to being more flexible in your choice of what your home looks like. Price increases will be more moderate than in the single family home category. An estimated 16,000-20,000 new units will be completed by the end of the year, adding to the inventory available for buyers. While you may not be able to find a single family home in the location you are most interested in, you should be able to find condominium units available in neighborhoods with the types of features that are most important to you. Look at your list of “must haves” and look for units near schools, shopping, transit and good recreational facilities. First time home buyers may not be prepared for the time and expense of dealing with maintaining their property once they move on. When you buy a condominium, you pay a fee for the maintenance of the common areas. You will not be dealing with shoveling driveways and stairs in the winter or mowing the lawn in the summer. No matter what type of home you are looking for in the GTA, you can count on Daniel and Bonnie Wan to help you find it. We are the “right Wans” for your real estate needs. This entry was posted in Richmond Hill Realty and tagged Condo Real Estate, Condominium Real Estate, Home Real Estate, real estate, Realtor, Realty. Bookmark the permalink.